To read a Tribute to William James Myers, click here. First I must say GOD BLESS America and pay respect to our flag. My world changed course December 15 2015. I flat lined as I was being put under for surgery. My ribs and chest were beat up as they worked to get my heart to start ticking. Four months followed this shut down in Hospital has changed my outlook on life. This experience has made my faith in JESUS CHRIST stronger. I pray that YOU learn the GOSPEL of JESUS CHRIST. Welcome to my crazy world where there were two people using the same body – George “The Animal” Steele and Coach Jim Myers. I have opened both of the doors of my careers and letting you in for a peek under the tent that has been my wild life. The book ANIMAL attempts to help the reader understand my career and life. The main thread of ANIMAL is about overcoming huge challenges and a learning disability. My book ANIMAL tells how Jim Myers was caged with George The Animal Steele is being very well received. The naming of the Madison Heights, Michigan Madison football field after me is very is very humbling. 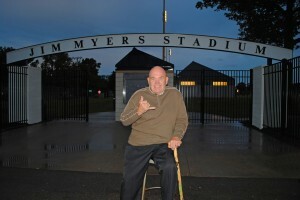 As Jim Myers, I was a high school teacher and coach in Michigan with a masters degree. Just register and we will have a blast from the past or we can talk about what is going on now. Let me know what you think of our new site. Please when visiting our web site place your comments on the lower area that we have provided for comments. This is a new site and every page can become a blog. This will make the site much more interesting for everyone. THANK YOU! God blessed me in so many ways before I accepted Jesus as my personal savior. As you stroll through my website you will see what I an talking about. Was I just lucky or was it Divine intervention? I believe God was always in control. The glory goes to JESUS CHRIST. THIS was real and the beginning of the end of THE ANIMAL. A blast from my past. See how many of these Super Stars you remember. 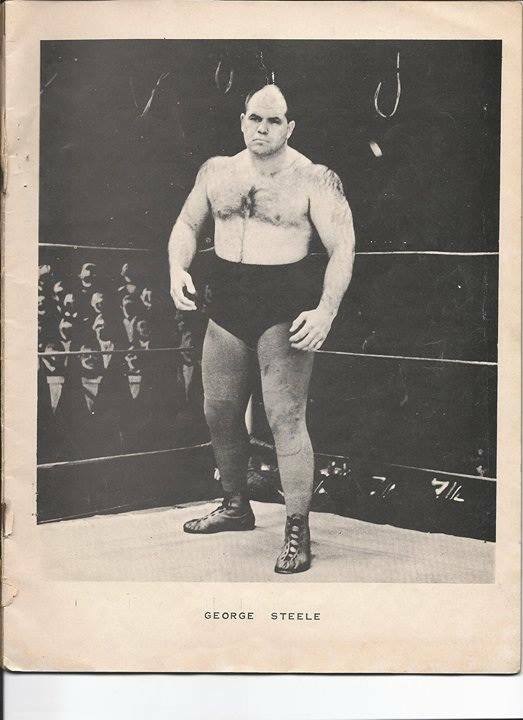 I became George Steele 1967 at Studio Wrestling in Pittsburgh and yes it was black and white television. Look at the crowd painted on the plywood in the background of this picture. Those were the days my friends. Jim on Pinning Crohn’s Disease was a Gift From GOD. © 2019. 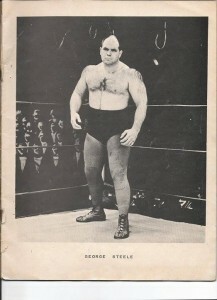 George "The Animal" Steele All Rights Reserved.